Twin flame relationships are one of those romantic relationship that you get together with your soulmate and connect as one soul. To understand a twin flame you should imagine a room that you cannot see what’s inside of it. The only way you can see inside, is if you place two mirrors facing each other. The complementary reflections will give you a vivid reflection of everything inside the room. Think of the room as yourself, something you cannot know everything of, and the two mirrors as the souls of you and your twin flame. Your relationship, in short, brings out things that were previously unknown to you, about none other than yourself. 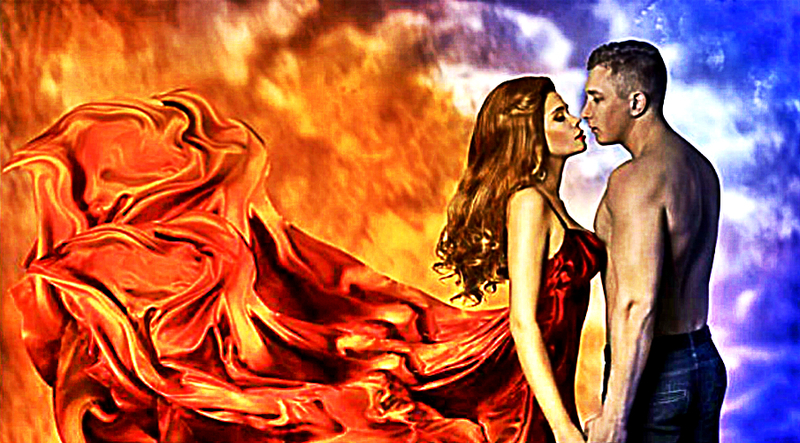 Here are the things you will realize after you meet your twin flame and after you enter a twin flame relationship. 1. There is music in silence. You learn that you do not need confirmation and validation all the time. Verbal communication can only serve temporal needs. Your relationship with your twin flame is ethereal, otherworldly and blessed, it only makes sense if your spirits talk to each other. Gestures mean a whole lot more to you than they do to others. You realize that there is much more in silence than words can express. 2. You can’t really lose each other. Loss and grief are for the temporal relationship only. You two have something that is far beyond explanation. It is a bond that transcends all earthly boundaries and is one on the soul level. The physical part of the relationship is a small, enhanced part of the bigger picture. You realize that you were somehow together even before you knew each other and you will stay connected through eternity. 3. You find your true powers. You always knew that you were capable of being a leader, that you were capable of creating and being confident. You deeply knew there is a confident version of you somewhere inside, but you couldn’t reach it all the time. Your twin flame brings out hidden qualities out of your soul every single day, just by letting you be yourself. You realize that your true powers are always within you and you were always worthy of them. 4. You discover a spiritual wellbeing. In our society, it is very easy to lose track about the spiritual well being of your life. However, it obviously cannot be ignored, because after all, our spiritual wellbeing is a catalyst for our true happiness and inner peace. Twin flame relationships bring out the spiritual issues within you that you need to fix in order to achieve spiritual wellbeing. You see a mimesis of your own journey in someone else, someone detached yet extremely similar to you. You realize the importance of your spiritual journey through them. 5. You discover what it’s like to feel intense passion. Intimacy is deeper than we are taught. Intimacy is about seeing within each other, looking beyond our pretense and discovering our inner worlds. It’s about sharing energies and dancing with our spirits. It is ethereal when along with pleasures of your flesh, you find your souls kissing through it. You will discover real passion when you are together with your twin flame, one that cannot be described with words. You will realize the true meaning of passion and why so many artists got such inspiration from it. 6. You get a sense of what true love means. You learn that love is really predestined and there is a bigger picture we are all a part of. It has a higher purpose, to unite two souls in an unquantifiable but really strong bond of the cosmic origin. It is meant to be a marriage of souls. It is a primordial force that nobody can really explain. You will realize that true love cannot be described nor defined, but it can be experienced in countless ways. 7. You start to respect the struggles of others. You learn to respect the struggles of other people and those of yourself too, because you see your struggles being reflected upon your twin flame. You start to understand that we are all fighting a hard battle every day. You realize that love is our natural state and we are all doing the best we can, we are all in this together. 8. You learn lessons from things you didn’t perceive before. You start to hear the true meaning of songs you previously didn’t really understand, or assumed they were meant for something else entirely. You start to get movies and drama about love. You start to see the depth of art and the power of stories you overlooked. Suddenly things you knew, start to take a new shape and unlock their true messages all around you. You realize that people spoke of such powerful twin flame connection between couples all throughout history. 9. You find your true purpose. You find essence in everything you do because you are at peace. You know that your twin flame is unconditionally supportive and you don’t need to prove anything to anyone. Therefore, you spend time and energy doing things you are truly passionate about, things you really care about, things that fill you up with energy. And as you do things the true purpose of your life starts to unfold. You find your true calling, temporal and spiritual. You know what your purpose is, or at least what part of your purpose is. You know where is the first step you need to take to follow the path of your purpose. You realize that love was always leading us toward our true purpose, even at times when we were hurt and not loved back, it was just telling us lessons.